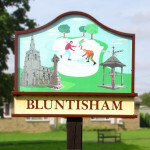 Bluntisham Parish Council has a half allotment plot which has become available with immediate effect. If anyone is interested in having a year of growing their own produce then for the bargain price of £20 what have you got to lose. If you are interested in finding out more detail then please contact the clerk: bluntishamclerk@gmail.com or 07725 308115.